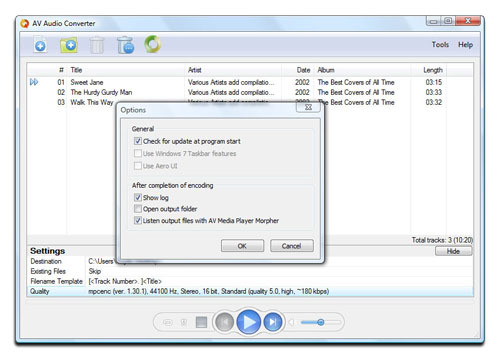 These are awards granted to AV AUDIO CONVERTER by popular software download websites. 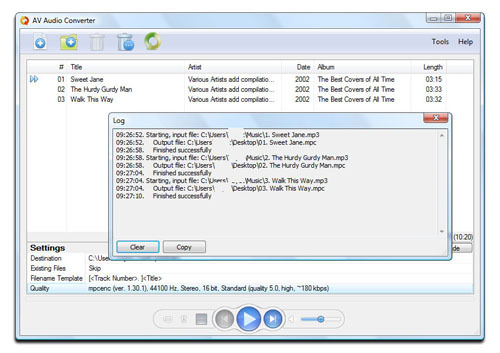 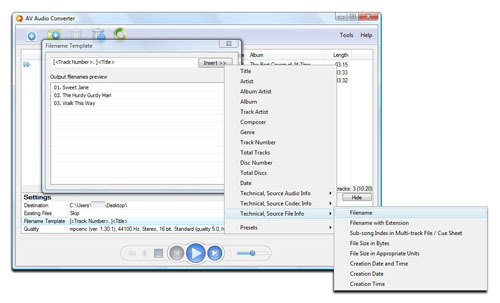 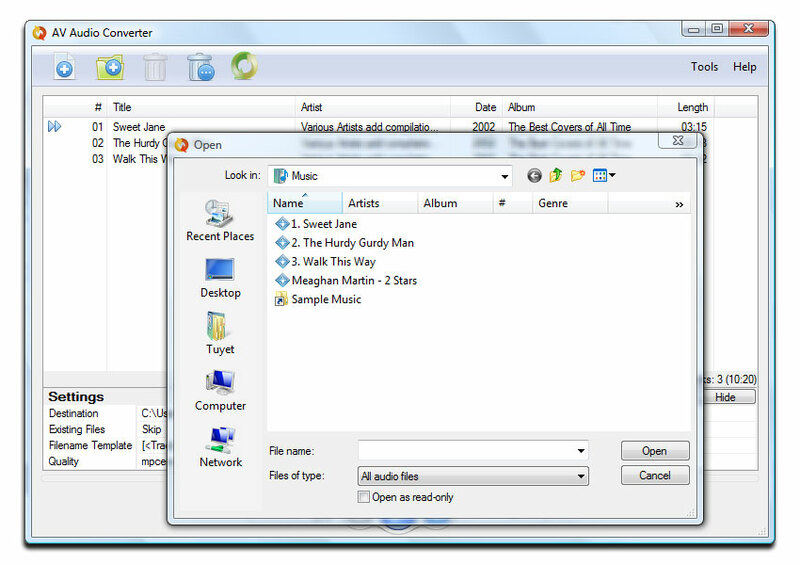 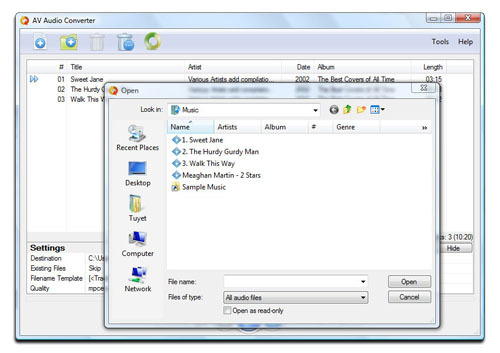 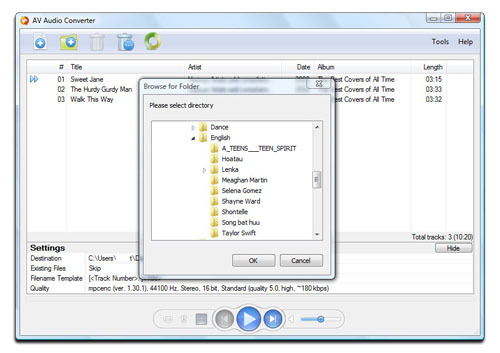 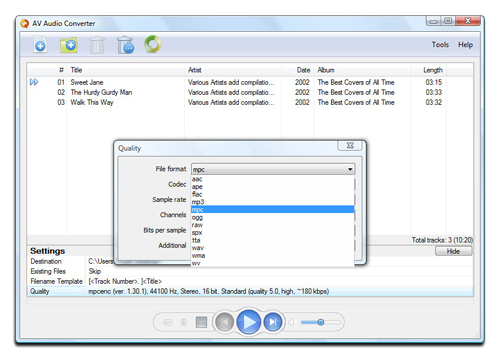 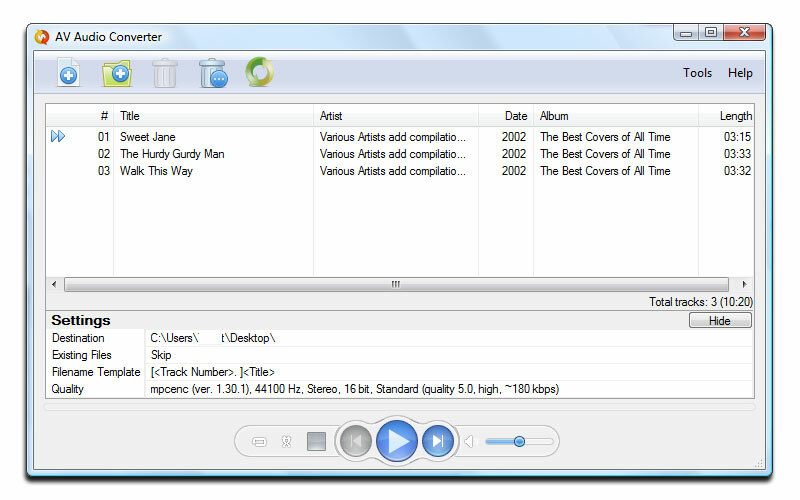 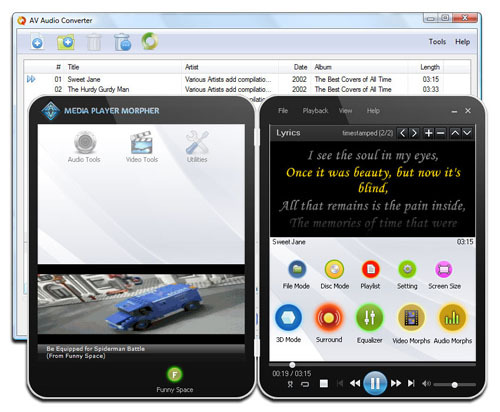 AV Audio Converter is a FREE specialized program for converting audio files from one format to another. This tool is highlighted for its user-friendly, yet professional interface.